On SWAT Season 1 Episode 1, we meet LA toughest team of law enforcement. 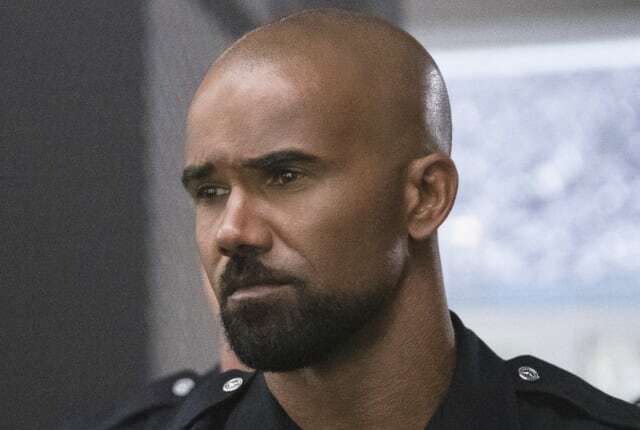 Shemar Moore's Hondo is promoted to leader of this elite squad, and he does his best to balance his loyalty to the locals with the demands of the job -- while also getting steamy with the boss lady and still taking down the bad guys. When does the guy sleep? Watch online to find out! When you watch SWAT Season 1 Episode 1 online you'll be introduced to an exciting new cast of characters. Hondo, built of steel with a heart of gold, is easily the star of the show. After being thrown into a leadership position he wasn't prepared for, he must do his best to solves a racially-sensitive local case without isolating the locals or compromising his job as an officer of the law. The rest of the team seems to work well together despite the occasional spat with their more agressive rival squad, and their shady superior Hicks. Even with these bumps in the road, and distraction of his relationship with his other boss Jessica Cortez, it seems that Hondo is the kind of stand-up guy that will always come out on top. Is there anything that rattles this guy? I guess we'll have to watch and see. On SWAT Season 1 Episode 1, a locally born SWAT sergeant, former Marine Daniel "Hondo" Harrelson is tasked to run a specialized tactical unit in Los Angeles. Lesson one, Street. Never be in a hurry to die. Permalink: Lesson one, Street. Never be in a hurry to die. What color you supposed to be, brother? Black or blue? You gonna have to pick. Permalink: What color you supposed to be, brother? Black or blue? You gonna have to pick.